Please note that during the Second World War the regional theatres of this global war are recognised from the ribbon colour with a STAR and not a MEDAL. For Australia this conflict involved its military personnel, men and women globally. The main areas of involvement included Europe, the deserts of North Africa, the jungles of Malaya, Papua New Guinea and Borneo, its maritime forces, the Navy and Merchant Navy plied all the oceans and seas. Because of this, each service could/would have a set of medals that are similar according to where the wearer served. Note that the Defence Force and National Medals take precedence to the LS&GCM and Meritorious Medal. Since 1991 these Commonwealth awards are deemed foreign, only Commonwealth Honours and Awards, like the D.C.M. 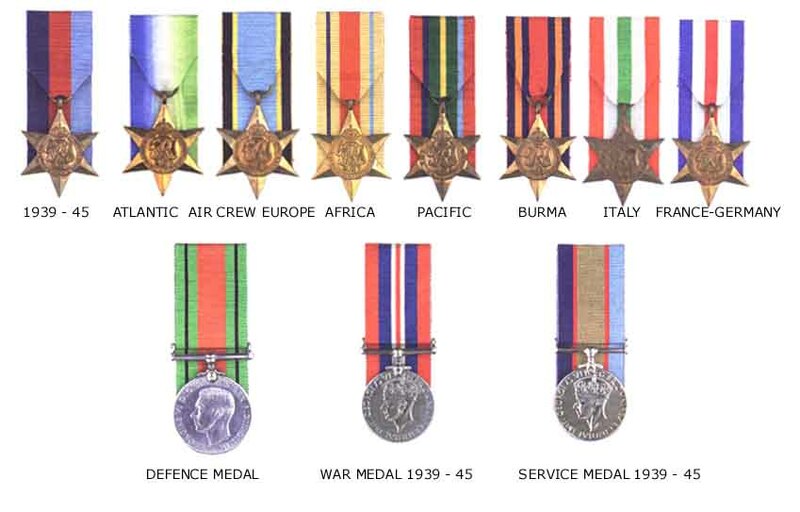 have precedence over war and service medals when awarded. These medals identify that the owner was in the army. He was not an officer as he was decorated in Vietnam with the Distinguished Conduct Medal. His service included WW II, Pacific area and Vietnam. He completed in excess of 22 years service identified by the Defence Force Medal, National Medal, Long Service and Good Conduct Medal, and the Meritorious Service Medal. He was also decorated by the USA (Silver Star) and the Vietnamese Gallantry Cross with 3 Silver Stars. Bevan Smith signed on with the US Army Transport Service (ATS) in Brisbane during WWII as a sailor. He served in the ATS/ Merchant Marine until 1948 and then enlisted in the Australian Army. The lower set of medal s covers this service they are L to R Asia/Pacific, Pacific Zone, Atlantic Zone, Mediterranean Zone, WWII Victory and the US Merchant Marine Veterans’ Medal. His service in the army included being posted to 1 Aviation Company as a pilot with the rank of Sergeant in the mid 1950s, when the company was formed. He served in Vietnam in September 1965 as a Captain. He flew helicopters with 161 Reconnaissance Flight until wound. In April 1966 when flying the Commanding Officer of 1RAR near Binh Ba his aircraft received ground fire shattering Smith's left hand.. With little use of the his left hand and arm he piloted the Bell H13 helicopter landing safely near friendly troops. For this action he was awarded the Medal for Gallantry through the End of War List in 1998.